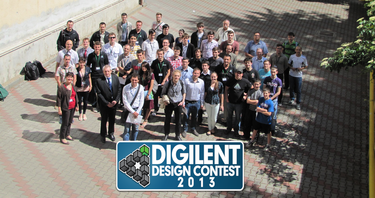 On May 18th & 19th, 2013, the 9th edition of the international “Digilent Design Contest” took place at the Technical University of Cluj-Napoca, Romania. 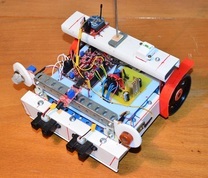 The contest was organized by Digilent RO (Cluj-Napoca, Romania), in cooperation with Digilent, Inc. and the Technical University of Cluj-Napoca Faculty of Electronics, Telecommunications and Information Technology. 39 teams coming from Universities in Cluj-Napoca, Brasov, Iasi, Constanta, Targu Mures, Timisoara, Baia-Mare, Bucharest (Romania), Debrecen, Budapest (Hungary), Istanbul (Turkey), London (UK), Kempten (Germany), Tartu (Estonia) and more, qualified in the final stage of presentation & judging. 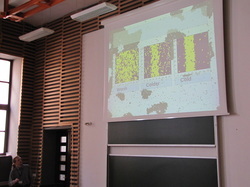 In the award ceremony, held Sunday, May 19th, winners were awarded certificates by Prof. Dr. Eng. 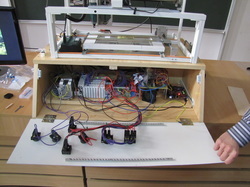 Gabriel Oltean, Vice-dean of the Faculty of Electronics, Telecommunications and Information Technology, Technical University of Cluj-Napoca and prizes by representatives of the co-organizer companies. 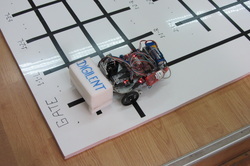 Stivy Forklifts – autonomous forklift vehicle with two wheels and a fork controlled by a servo motor. 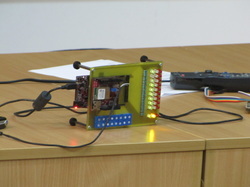 Isingler – a Xilinx® Spartan 6 FPGA, Atlys board project in which a virtual hardware was designed to run Metropolis Algorithm in parallel for high-speed simulation of Ising model at low temperatures. 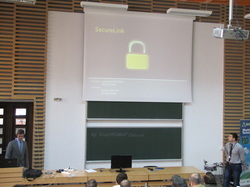 SecureLink – a modular, high-performance (~400 MB/s) framework which permits complex operations to be processed in FPGA, freeing the CPU to do more important tasks. A Linux kernel module exports a character device which acts as a FIFO device into which you write data that’s going to be encrypted and you read back the result of the cryptographic operation. 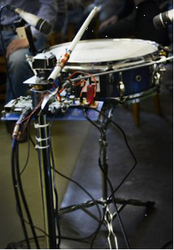 DrumBot – a smart mechanical arm that can precisely remake a rhythm done by the human user on an acoustic drum. The remade beats should not only respect the moment in which the original beats occurred but should also respect the intensity and position of each beat.a smart mechanical arm that can precisely remake a rhythm done by the human user on an acoustic drum. 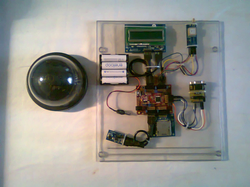 Arduino Based Expert System – a monitoring station and sensor module which communicates via RF link and is intended to measure: sunshine duration, humidity and temperature. 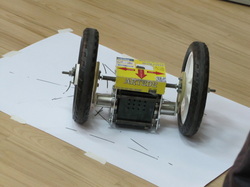 Art on the Two Wheels– a two-wheeled, remote controlled drawing robot that can draw on any kind of smooth surface and has the ability of path mapping and path learning.